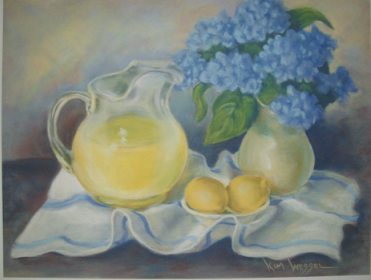 Kim Wessel works in pastels, watercolors and acrylics. She has studied with Homer Hacker AWS, Frank Web AWS, Don Dennis AWS as well as Rosie McNees PSA & AWS, the late Selma Dusenberry, and Barbara Martin. She enjoys painting. She lives and works in Greensburg.